To be a great leader of others, you must first be a great leader of yourself. If you are one of the millions of people who wake up every morning with a deep desire to play bigger, but don’t know how or where to start, then Bold New You is your roadmap on how to get out of your own way, take courageous action, and be a better leader of yourself. This book is filled with personal stories and testimonials of how individuals, just like you, discovered deeper self-awareness, shifted their mindset and the roadblocks holding them back, and made some different choices so they could lead with stronger impact and influence. The vulnerability will be relatable and the exercises throughout the book will help you apply the six breakthrough steps to playing bigger, leading better, and living bolder. Stay motivated and informed! Sign up for my newsletter to learn more about the concepts explored in Bold New You. Exercises discussed in the book that you can download and complete! Listen to Justin talk more in-depth on topics in Bold New You. See what people are saying about Justin’s leadership book! 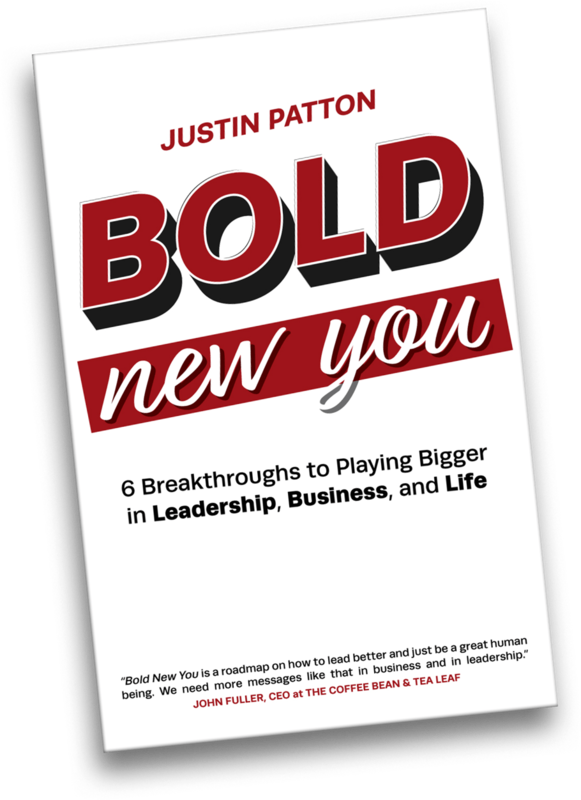 "Bold New You brings together all the concepts I’ve seen Justin apply with executives in our company that have made a difference in how they lead, communicate, and drive results. I am a witness to how these concepts work!" Buy This Amazon Bestselling Book Today!